USB chip tuning interface. This is good clone working with v. 3.0.2.37 version of software. The hardware inside is like a original.This interface lets you to read and write memory of a car computer through the diagnostic connector. 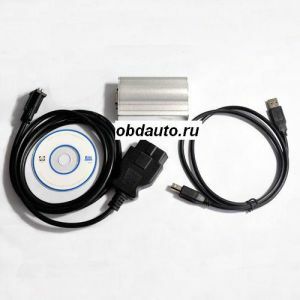 It supports new EDC16, EDC17, MED9.x, Siemens PPD1/x, EDC15, ME7.x and many other... Professionaly made, no obsolete boxes of cables, all the electronics fits the OBD plug.